Dr. Herberts obtained his Bachelor of Science degree at UBC, majoring in Microbiology. Following this, he entered into the UBC Faculty of Dentistry and attained his DMD. After graduation, Dr. Herberts and his wife moved to Vernon, BC where he had a solo practice for two years before returning to the lower mainland and taking over the practice of the late Dr. Popove in 1987. 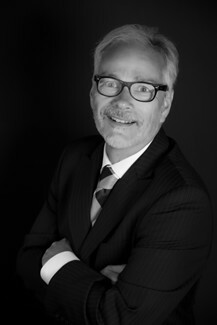 Over the years Dr. Herberts has prided himself in keeping current with materials and techniques in an ever-changing profession. He has been a member of several study clubs over the years and has spent the past 4 years with a study club consisting of all the dental specialties in order to better understand where and when to refer patients for specialty needs. Outside of dentistry Dr. Herberts and his wife enjoy traveling, spending time at their ranch in the Cariboo, cross-country skiing, kayaking and gathering for Sunday dinners with their three children and their partners. He is also actively involved in real estate development. Fitness plays a big role in his life as he has been a Crossfit enthusiast for over 5 years now along with his three children. He can be found 4 or 5 evenings a week at Rocky Point Crossfit where he is referred to as "Dr. Feel Good". Actively involved in two dental study clubs and I enjoy an active involvement in real estate development.